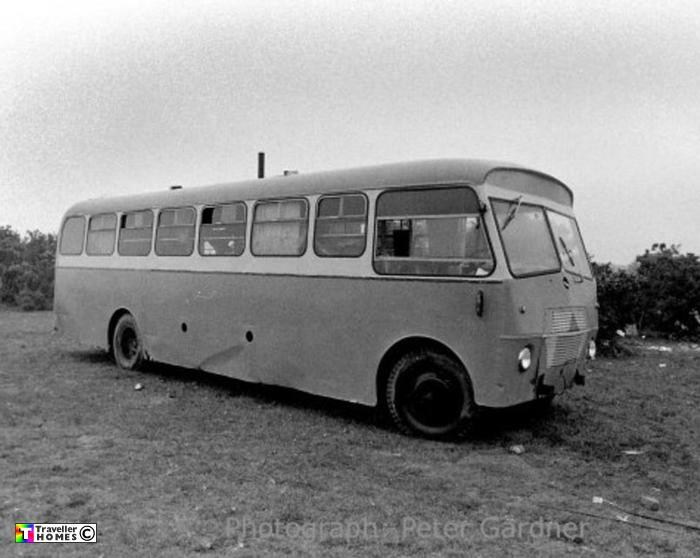 SBH246D (1966) Bedford SB3 . Strachan B36F. Ex-Diplomatic Wireless . Hanslope (FCO) . Seen 1986 Hants. Taken a few days before being impounded along with 140 other homes .. Taken out of Nursling pound by Dave & Phil , sold to looney & Julia & then bought by Carol & Myke at Wylie . Photo = Peter Gardner .